FEATURES/SPECS Get inspired to make the impossible possible with this cherry wood base inspiration desk sculpture. 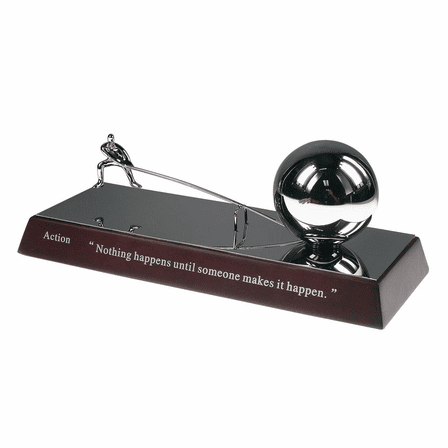 It features a polished nickel figurine moving a massive steel ball with the help of a lever, making something impossible possible. 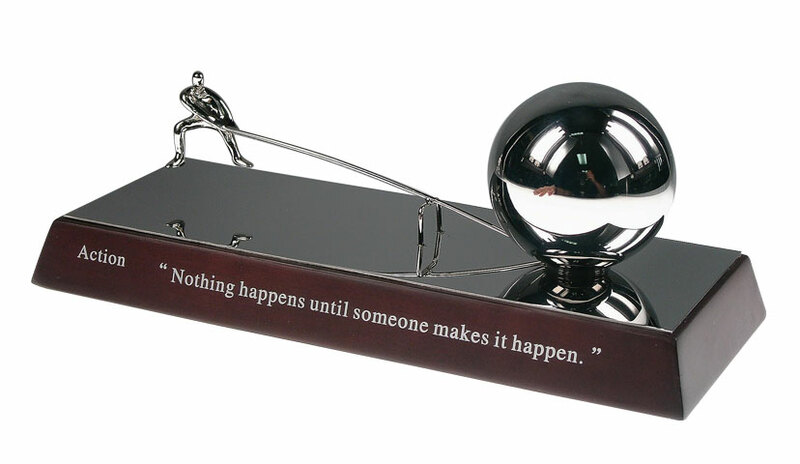 The solid wood base is inscribed in white with the phrase 'Nothing Happens Until Someone Makes It Happen.' The base has a felt bottom to protect delicate surfaces. We'll add a laser engraved plate to the back of the wood base for you free of charge, just check the Personalize It box above. 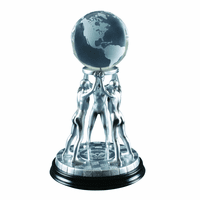 This customized inspiration desk sculpture is a great way to motivate a member of your team or inspire a loved one to go for their dreams. 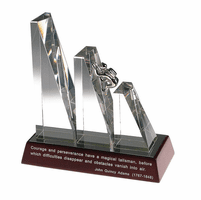 Dimensions: 8 1/2" x 4 1/4" x 3 1/2"
Is the displayed quote standard on the sculpture? Also, when personalizing, the default font is 25. Is that an ideal size? Hard to tell w/o it appearing on the sculpture to preview. Many thanks! Yes, the displayed quote is the one that comes with the sculpture. The personalization you add is done on a plate mounted on the back. If you're getting a line or two of text, as opposed to a name or initials, then 25 is a good font. The preview shows you the sizing based on the plate that will be mounted on the back. I hope that helps. Where wi the personalization appear? 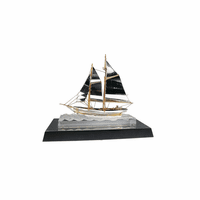 The personalization goes on a silver plate with black writing mounted on the backside of the wood base. 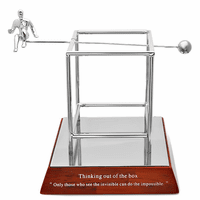 I had purchased this Inspirational Gift Sculpture sight unseen and shipped it to my son. When I came for a visit, my son was thrilled with the gift and showed it to me. It looked stunning on his desk! The name engraving was great! It looks dignified and substantial! I was so pleased with this purchase and so was my son. He loves it for his desk! It was a wonderful way to celebrate his promotion, as well as a way to remind him everyday that i love and care about him. The original trophy I wanted wasn't available through any source. Executive Gift Shoppe researched and made other recommendations. I went with this one and my team loved it. In fact, it ended up working out better than our original option! I needed the logo engraved and the manager emailed me back with details. Then I placed the order online. I was expecting receipt within in a week because of the need to engrave and ship a long distance; we got it in two days. For such a small order, the team treated me like a big customer. I would definitely do business with Executive Gift Shoppe again in the future.